Due to physical condition of the performer, we have to cancel the appearance of Serge Zimmerman (violin) at 9/9 (Sun) 15:00 Opening Concert. With this sudden change, we are very sorry for the audiences who were looking forward to it. Instead of Serge Zimmerman’s performance, Gen Yokosaka(vc) and Tomoki Kitamura (pf) will perform Debussy: Cello Sonata D minor. Thank you for your understanding. 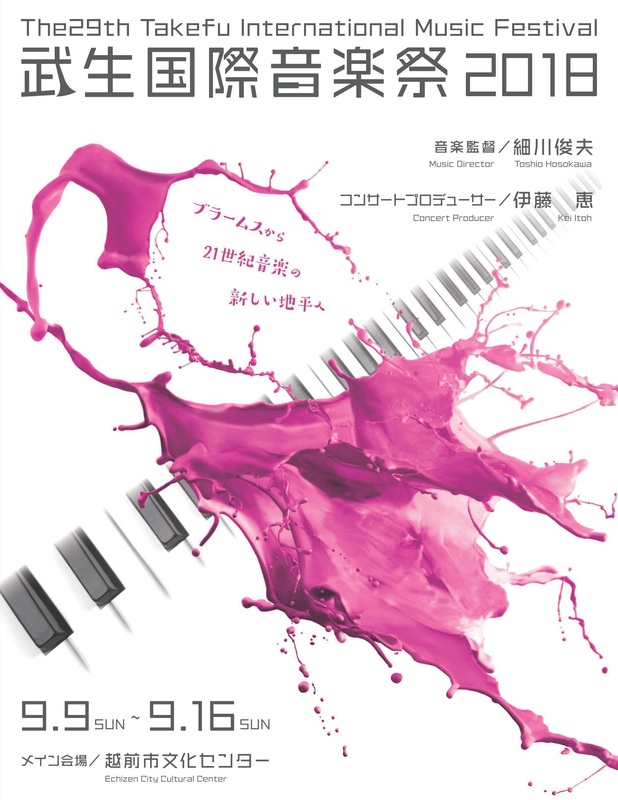 thanks for your support to the Takefu International Music Festival last year! We hold this year’s festival between the 9th September (Sunday) to the 16th September (Sunday). We are looking forward to seeing you at our festival! !